Thank you for visiting our website and welcome to Temple Christian College. 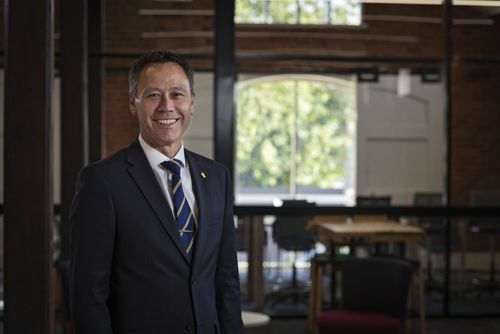 Educating students from all over Adelaide since 1983, Temple Christian College provides an authentic Christian community where all students are encouraged to grow in Character, Service and Influence. Working in partnerships with parents and acting as an extension of the home, our passion is to prepare our students for their life beyond the classroom. Equipped to become good role models and strong leaders, prepared to have a positive influence within their workplace and community. We recognise the importance that you place on selecting the right school for your sons and daughters and warmly invite you to consider the information contained within our Campus Websites. 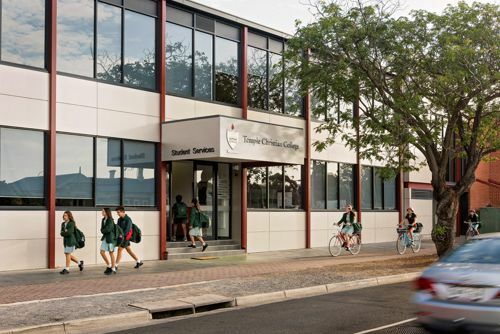 Temple Christian College is a Year 7 to 12+ Christian, co-educational school operating out of two campuses – Mile End and Paralowie. Under the banner of one leadership and moving forward as one school, we celebrate and encourage the unique life and development of each of our two campuses, knowing that each location embraces and represents the fullness of the vision of Temple Christian College ‘Pursuing excellence for the glory of God’. Mile End Campus: Located in the metropolitan area of Adelaide, our Mile End Campus, opened in 1983, is just under 4km from the city centre and offers its students and families all the benefits of a city based school, easily accessible by private and public transport. Paralowie Campus: Opened in 2001, the Paralowie Campus is nestled in the heart of the northern suburbs and offers a very diverse curriculum, providing quality education to the local northern suburbs community. For Campus specific information, we invite you to visit our campus website. 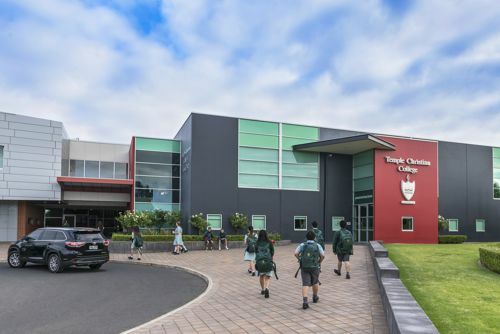 Temple Christian College is a Year 7 to 12+ Christian, co-educational school operating out of two campuses – Mile End and Paralowie. Home to thousands of students from all over Adelaide, Temple provides an authentic Christian community where all students are encouraged to grow in Character, Service and Influence.